Welcome. Our brain fitness program combines personalized exercises with state-of-the-art technology to help your brain reach its full potential. Along with improving mental clarity, memory and concentration, our programs have helped many people by also enhancing deep sleep, sports performance, ability to meditate and offering many other benefits as well. 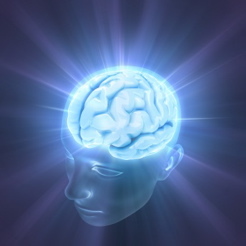 Our training programs are typically done over the course of 1 week in a Brain Training Intensive. This intensive format encourages your brain to develop new, healthy brain patterns. The daily reinforcement also discourages your brain from falling back into old, unhealthy patterns. 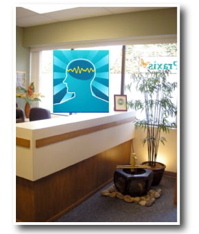 The brain training process begins with taking brainwave readings from different parts of your brain. The resulting brain map indicates which parts of your brain are overactive and which parts of your brain are underactive. The brain training process is then customized to suit your unique brain and your distinct brain ratios. Brain training in this manner is individualized, precise, and is not a 'one size fits all' approach. Our brain training programs optimize brain function using leading-edge computer technology, EEG equipment and a zero-gravity chair. On a subconscious level, the brain optimization technology encourages your brain to develop healthy, new neural networks. So even when you are resting and not consciously doing an exercise, your brain is still being exercised--on an unconscious level! Combined with the brainwave optimization technology, personalized exercises allow your conscious mind to participate in the brain training process. Simpler or more advanced exercises are included depending on your level of ability. Our brain training programs are unique in combining Brainwave Optimization technology with personalized exercises. Most importantly, people are amazed by the results. Our programs have supported many people in overcoming serious issues, like anxiety, depression, obsessive thinking, addiction, brain injury and many other significant challenges. While the brain fitness program uses a lot of brain energy, most people describe the physical process as relaxing and comfortable. Find out more about the benefits of our Brain Fitness Program. BRAINWAVEBC.com Copyright 2018. All rights reserved. Legal disclaimer: information on this site is not intended to diagnose, treat, nor take the place of medical attention. If you have persistent health problems, contact your appropriate health care provider. "After BrainWave Training, I feel more like who I am supposed to be..."
"I have received BrainWave Training elsewhere and I really appreciate what you two in particular bring to the brain training experience, both as individuals and with your holistic backgrounds."